Helps improve overall body function and metabolism for better energy production. 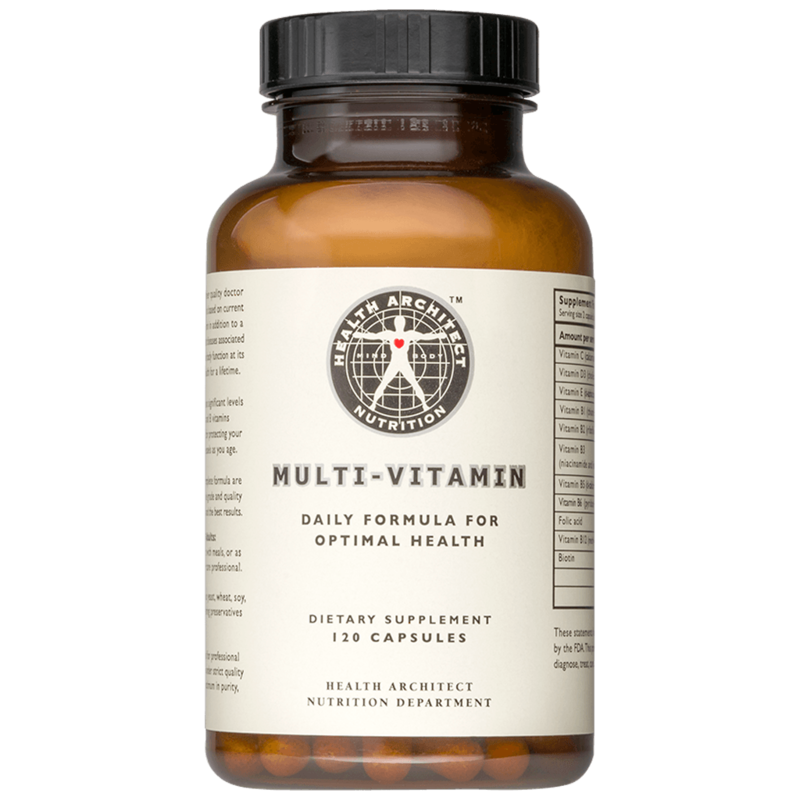 Health Architect’s premier quality multi-vitamin combined with a healthy diet helps prevent conditions associated with aging. Help your body function at its best, improving your health for a lifetime. This formulation contains significant levels of highly absorbable B vitamins providing added benefit for protecting your eyes, heart, and blood vessels as you age. All ingredients in this complete formula are of the highest bioavailable grade and quality for maximum absorption and the best results. Hypoallergenic, does not contain gluten, binders, magnesium stearate, food colorings or additives.